A handful of media and Visit Baltimore folks gathered today for a sneak peek at the soon-to-open Kona Grill. 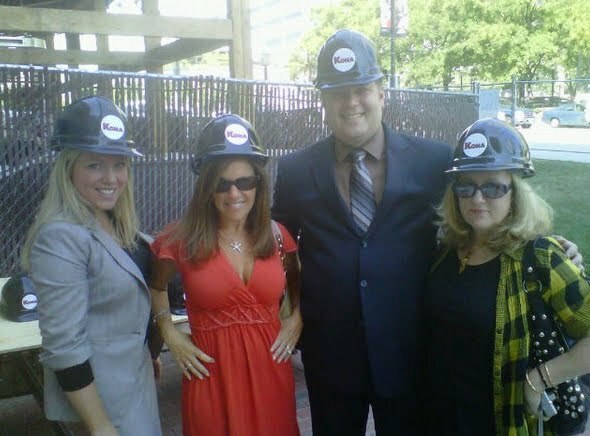 Why call it a hard hat lunch? Well it is still under construction as the photographs show you at the bottom of the story. Construction has been going every day through the Labor Day holiday so they can make the opening date of Monday, October 4th. This will be the 25th Kona Grill in their group. Kona Grill will have am extensive patio area for dining and drinking with a direct view into the restaurant’s bar and action accomplished with its roll up garage door wall.